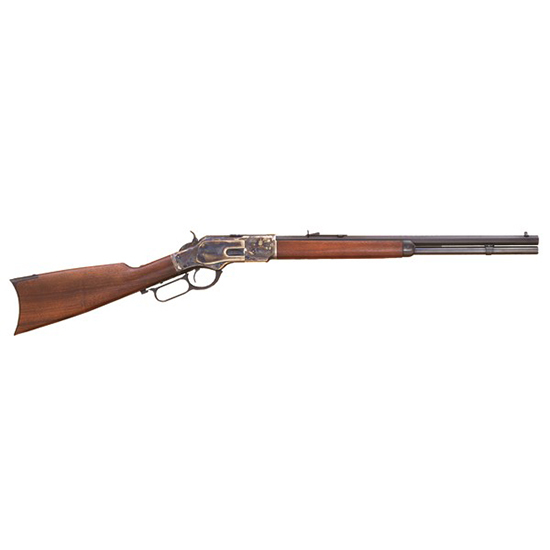 Cimarron CA271 1873 Short Rifle 1873 Winchester Lever 357|38 Special 20 10+1 Walnut Stk in. To paraphrase the famed film director John Ford If this isnt the way the Old West sixguns were its the way they should have been" The Thunderer a fullsized Model P peacemakerstyle singleaction revolver that was designed by Cimarron founder and president Mike B. Harvey and made on the Old Model pre1896 frame and "bullseye" ejector head. However as a departure from the traditional peacemakerstyle arm this sixshooter utilizes the natty birds head grip and is much like that carried by Val Kilmers "Doc" Holliday in the 1993 hit Western Tombstone. Cimarron Thunderer is a daisy"